Transformation was the big theme of our year. So the image I had chosen for my Twitter icon seemed an appropriate one. Among lots of other things, it made me wonder why I chose it as my icon when I joined Twitter. 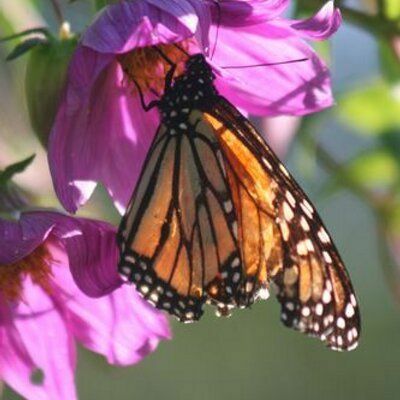 Was it some subconscious thought about my own transformation, a sense that I was still learning and growing, that I am constantly in search of who I am. 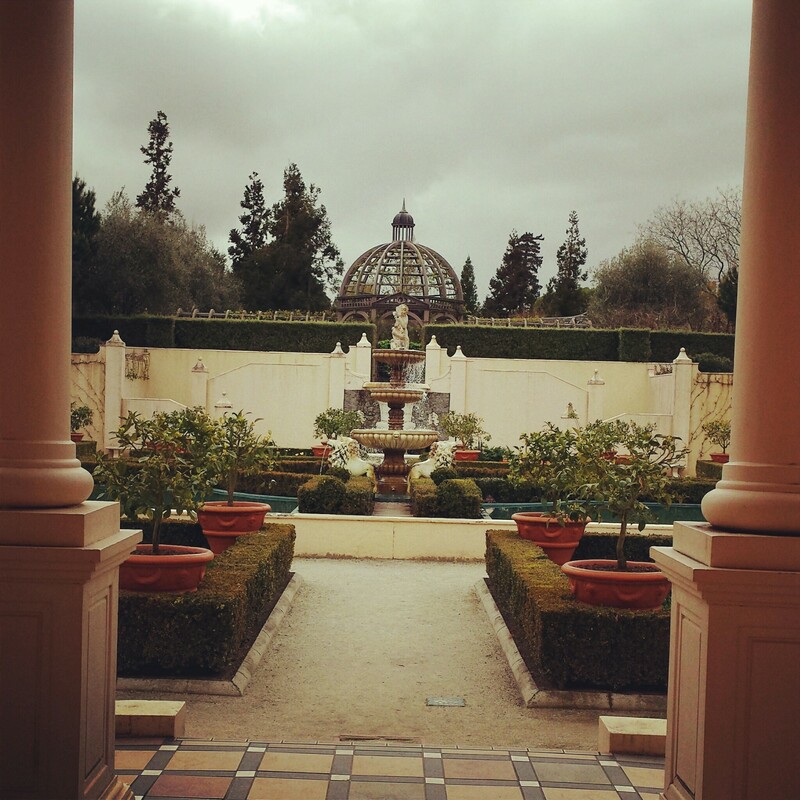 Or more likely, I just liked the photo I had taken in Hamilton Gardens that sunny summer day! But when we are asked to choose things that represent who we are, what are roots are, where we come from I think we do search for things with meaning however subconsciously. This year we have been asked many questions, we have questioned, we have been asked to ask questions of ourselves and we have sought answers. We have not always found them and we were often sidetracked by questions that were lurking in the undergrowth to challenge us further. The rhizomes took us further into the dark and mysterious chasms of doubt, self-doubt, wonderings, wonder, discovery and enlightenment and then back again! I decided to use the images of our first Master Class to make a digital story, so here it is. In October 2013 I was awarded a Core Education eFellowship. “What is an eFellowship?” you might ask. On the Core Education website it describes eFellows thus; “CORE’s eFellows are deeply passionate, skilled, and inquiring New Zealand educators from early childhood to senior secondary. They push the boundaries of e-learning by embarking on a year-long fellowship explore innovative, effective, and equitable teaching and learning. The purpose of the eFellowship is to inspire transformational practice through inquiry.” I was one of seven eFellows from around the country this year and I have certainly had an inspiring year in which my thinking was challenged and extended. I met many people who are experts in the field of education, and they have encouraged me to believe in myself, to question what is happening around me, to challenge the status quo and to look at learning from different perspectives. 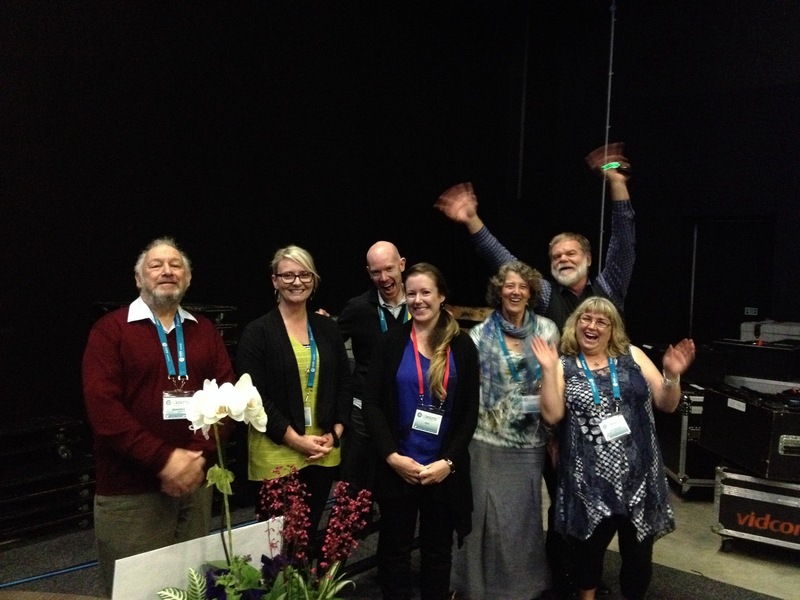 Our journey started back at Ulearn13 when we were presented on stage before the keynote presentation by Mark Pesce. I remember little of his talk because my phone was buzzing with congratulatory tweets and my head was buzzing with the excitement, how could I possibly concentrate? Actually my journey had begun a few months earlier when I had been encouraged to apply. I wasn’t sure, I wanted to but didn’t really believe I was good enough. I am glad that I let myself be persuaded because it has been a fantastic experience. Then a week before Ulearn13 when I was in the middle of moderating Spanish NCEA portfolios with a colleague I received a phone call… It was John Fenaughty from CoreEd calling to tell me I had been successful in my application. His enthusiasm was infectious – I would have been excited anyway – but I was doubly so and could hardly contain myself. My heart was racing, I wanted to sing, I could hardly breathe and I think I just kept saying “Thank you, thank you”. And then the hardest part was when he said that I had to keep it a secret until it was announced at Ulearn! I mean, how can you keep such a big thing a secret? I was bursting with excitement and I couldn’t tell anyone! I daren’t go on Twitter just in case my fingers typed all on their own what I desperately wanted to shout from the roof tops! Luckily it was the holidays and I didn’t have to see anyone! I confess that I did tell my husband – never keep a secret from your dearest! After Ulearn things went quiet for a while; in the hustle and bustle of exams, the end of the year, Christmas, New Year and the summer holidays I might have almost thought it had all been a dream or a not very funny joke! How ever, in January the emails started arriving from John and Shannon. We were to have three Master Classes of three days each in Auckland, Christchurch and Wellington and then a week at Ulearn14 in Rotorua when we would present our research. Our flights were all booked and the eFellowship started to seem like it was real! I guess it didn’t really feel like we were properly on our journey until we met for the first time in Auckland in March. That was the start of a true fellowship of friendship, shared experiences, and shared memories. Rowan Taigel, Marnel van der Spuy, Tim Gander, Bec Power, Ben Britton, Vicky Hagenaars – we will be “#efellows14 4 life”! So much to do… so I guess I’ll write a blog post instead! I started to write this and then decided that I had better do the things I really needed to do! But back to it now and a beer in hand! Five of the efellows met up yesterday for an extra session to help us with our presentations for next week. It was great to meet up with John and Louise, and Rowan, Becs, Ben and Marnel again but we missed Tim and Vicky. I was feeling more than a tad panicky as I have had so little time to spend synthesising my ideas. The real demands of in the moment, every day teaching and general family life are overwhelming and insist on being met. In fact, if truth be known, I couldn’t meet the demands of school workload if I didn’t have an incredibly supportive and ever patient and understanding family. They bear the brunt of my frustrations and really don’t get the attention they deserve. (Note to self that they need some pampering asap). It is a bonus too that youngest son is away at a hockey tournament this week – not far away – a few streets away, in fact, in a motel as they are playing in Hamilton. However, it does mean that I don’t have to worry about feeding him and getting him to places, I just have to turn up to support him at matches each day! So that means that I have some time to myself to write up my research and pull together a presentation for Ulearn14 next week. Yesterday served as a focus for me to quantify just how much I had done and what still needed to be done. It was good to be able to share some ideas and talk through my data. Our times together have been intense and stimulating; we all get on so well and ideas spark like fireworks but, although we have created a Google + group and we all tweet to varying degrees, we have not connected as much as we intended to between meetings. Rowan and I even live in the same town but haven’t managed to connect! Time and work pressure is definitely a factor in this! So, back to my inquiry; I am feeling less anxious and more positive about my progress after spending the day working on it – I can definitely see that hint of daylight and smell that familiar and comforting odour of fresh air as I crawl my way towards the exit of my cave. Still some way to go though. Last week’s eduignite talk helped more than I thought. I have decided that I have to put myself out there and make myself do things like Eduignite presentations. Why? They are fun, I meet up with my PLN face to face and see and hear about all sorts of interesting things that are going on in other schools, all that and I build my personal skills too. Last week I used some of the data that I analysed from my survey about how adults learn to create an Eduignite talk. It raised some interesting questions for me that have continued to percolate. I started yesterday feeling like there were a whole lot of bubbles swirling in and out of reach – I knew they were important but I couldn’t quite reach them and pull them down to see exactly what they were to be able to organise them. Now, I have caught some and can see a way through the confusion! Maybe a cave labyrinth could also be an analogy? I know the passages and where they go, I can see them in isolation, I just can’t quite see how they link up to lead me up to the surface! We have a visitor just now and today we did what we often do when have visitors and went for a walk round Hamilton Gardens. It was a good opportunity to rest my brain but as usual breaking out and relaxing actually helped me. We found ourselves walking a different way through the Paradise garden collection and I realised that I had always thought that the links between the gardens were awkward and didn’t really flow. Now I realise that it is because I have always approached from the wrong direction! 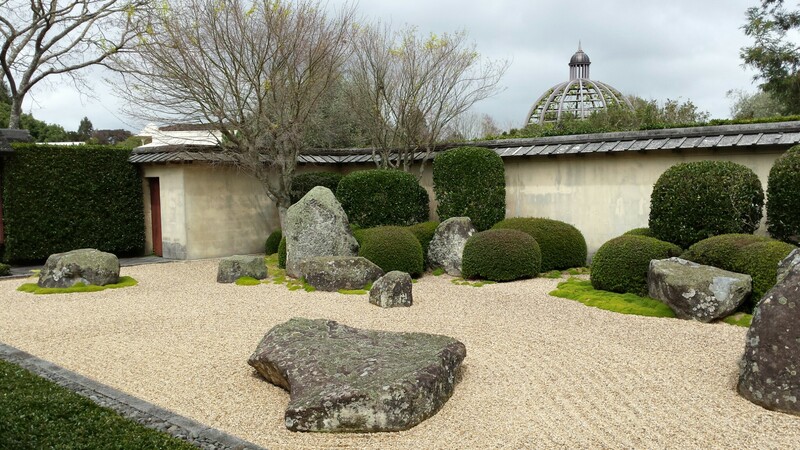 Starting with the Japanese Garden of Contemplation and following through to the English Flower Garden, to the Chinese Scholar’s Garden, the American Modernist Garden, the Indian Char Bath and finally the Italian Renaissance makes so much more sense and the flow is more natural. Stepping back, taking a break, looking at things from a different perspective, and things are starting to look a whole lot clearer! Now I just need to focus….